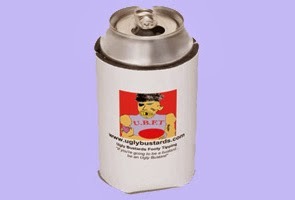 The 2011 R28 / Finals Week 4 Results are on the Uglybustards site, proudly brought to you by Broo Beer and The Laugh Garage. Go to the Tipping Ladder page to see the final standings. In one of the most climactic finishes ever witnessed in Uglybustards history, a tired and emotionally drained powerful has been overcome by an exhausted never-say-die Griggsy who literally willed himself over the line in a heart-wrenching display of pure guts and determination in the final round of the season. Having carried the onerous burden of competition leadership for the past 16 rounds, an amazing effort in itself, powerful finally succumbed to the relentless pressure tourniquet applied by Griggsy, and although employing reverse psychology in his Pies tip, that exact same reverse psychology was courageously predicted by Griggsy who tipped the Cats. Uglybustards will be flying a chopper to Bruny Island in Southern Tasmania to interview its latest Tipping Champion with the aim of getting inside the head of a winner and finding out what makes such a Tipping Champion tick, delving into the countless strategies & tactics he must have white-boarded during Grand Final Week along with his array of assistant tipping coaches and staff, and of course we'll be noting his long list of obsessive-compulsive disorders and good-luck rituals he performed on the morning of each game in order to maximise his tipping success. powerful does not, however, walk away from season 2011 empty-handed, having staged a comprehensive victory in the margin competition. A somewhat forgetful Quokka will be ruing his missed chances, but in end the fell short by a significant margin of some 40 points.